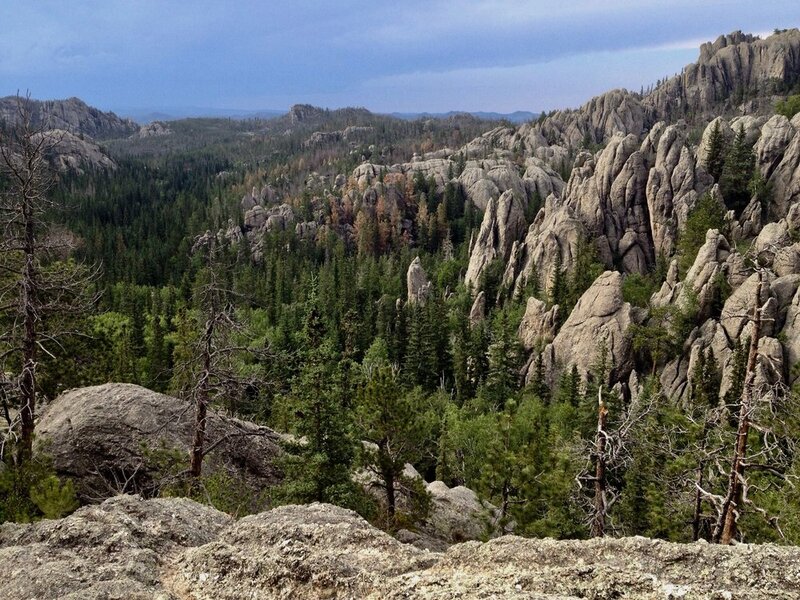 The Black Hills of present-day South Dakota. H^e Sapa, the homelands of the Lakota Oyate and the Oceti Sakowin. Each of these photos tells narratives of beauty and the sacred, love and reciprocity, colonialism and despair, ongoing presence and survivance. Click a photo and caption to learn a bit more; but of course, so many stories still reside outside the frame. I'm currently working on the introduction for my forthcoming book about settler colonialism, contingency, time, and queerness. Love haunts the margins of this book, perhaps of all my work. What does it mean to love a place? By that, I don’t mean to love a place to visit, as in a favorite city, a national park for the annual vacation, the perfect camping spot. I mean to love a place like one is supposed to love a person. And I don’t mean to love a place like it’s a person. I mean to love a place instead of loving another person. Love risks trite or sentimental engagement. Love makes bad art—everyone prefers the breakup record. But I propose an experiment: to write and talk about land, property, propertied relations—conditions brought about by power and trespass, illegal habitation—in terms of love. Love in the age of toxicity, extinction, and extraction. This project offers what Lauren Berlant would call “a properly political concept of love,” by way of conditions that only seem to produce our deepest fears, the worst versions of our human capacities. I wonder if when settlers write of their attachments to place, of the five generations that have lived and cultivated the land, they express a form of love at the expense of another, where “love” equals property and inheritance. Perhaps property and all that it makes possible (surplus value, an economy of extraction, personal wealth) pass as love. Or property even comes to stand in for love and its cognates (family, a domestic space). The introduction aims to crack open the synecdoche between land and love on which settler colonialism relies. Homestake mine in Lead, South Dakota. Now transformed into a laboratory in search of Dark Matter.